"For advice on writing an op-ed piece, see Roscoe Barnes III's 'Writing Columns for the Local Media' in Fund Raising Management magazine." "Need inspiration on how to get published and make a living as a writer with no contacts and no experience? Need solid how-to information? If you're an aspiring freelance writer, this engaging book (Secrets of a Writing Hustler) provides both." "SCOOPING THE COMPETITION: How to Be First in Reporting Hot Stories ... attempts something many of us could have, but didn't: to spell out the mindset of an aggressive reporter." "Roscoe Barnes' book, SCOOPING THE COMPETITION, is a manifesto on ace reporting techniques. It's a book that should be read by every reporter and aspiring reporter who wants to succeed in the exciting world of journalism. Highly recommended for investigative reporters!" "Barnes knows what it's like in the trenches. In SCOOPING THE COMPETITION, he offers up invaluable advice not only for aspiring reporters, but also to writers of all stripes. This is a manual for the real-life job of writing.... This isn't theory, this is step-by-step training." "Dear Roscoe: Sus articulos son excelentes. I just finished reading your 'Using the First Thing' paper, and, as always, I felt inspired. You are good!! .... Send me anything you write. I will read it, I will study it. I will enjoy it!" -- Robert L. Merritt, Ed.D. "Roscoe wrote a fundraising letter for us that pulled $7,000 more than what we expected. We were all surprised...but very grateful." advertising copy. This book is dynamite! Highly recommended!!" "Thank you for the wonderful work you did for our library project. It is very helpful and key to our expected success... Ten days after your fine article, we had pretty much achieved our financial goal and now the books (requested in the article) are showing up on the shelves." "Because of your writing, I have now started a successful career in Real Estate." “Because of (Roscoe Barnes III’s) willingness to ‘go the extra mile,’ future generations now will know of the sacrifices made by World War II veterans to end the scourge that was overtaking much of the world. Even after they are gone, their words and their thoughts will be forever preserved. "Pay close attention to [Roscoe's] personal experiences. He knows the guideposts on the path to success. Early writers who take heed will reach their goals." 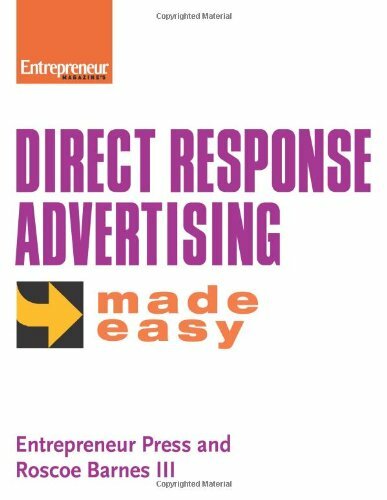 "I highly recommend Roscoe Barnes' book, ARRESTING ADVERTISING TECHNIQUES, for anyone interested in improving their advertising response." "Your book [BIG BUCKS FROM LITTLE SKETCHES] offers sound advice for those interested in full or part-time portraiture work... It's very practical ... and filled with all sorts of marketing ideas!" "Roscoe is not only an accomplished artist, but an excellent writer. His advice and instructions are clear and complete, easy to follow and understand." "Fantastic book (Secrets of a Writing Hustler), and I recommend it highly. Five stars. No make that ten!" "During a preaching/speaking workshop in Germany, Roscoe made a tremendous impact on the communities of Vilseck, Amberg, Grafenwoehr and Nuremberg. Many ministers and chaplains benefited from his talents, skills and knowledge." “Roscoe Barnes III has a good name, don't you think? “I've hired a few writers in the past. And for some reason, the best ones have all had interesting names. So it's no surprise to me that Roscoe is also a writer. What's more, he's the author of a new book on writing … It's called, SECRETS OF A WRITING HUSTLER: How to Beat the Odds, Overcome Rejection, and Succeed as a Writer. And it's published by Filbert Publishing. “Roscoe Barnes III has written the book (Off to War)I wish I could have written. He has not only recorded these World War II veterans’ statements about their roles in the most horrific war ever fought, but he has had the honor to sit face-to-face with the men who—though they deny it—are indeed great American heroes. Roscoe Barnes has thus given a gift to historians not yet born who will dream of talking to a veteran who ducked the burning gasoline from an exploding kamikaze, or who shivered in the cold horror of the Ardennes during the Battle of the Bulge, or who bled into the black volcanic sand of an island called Iwo Jima.